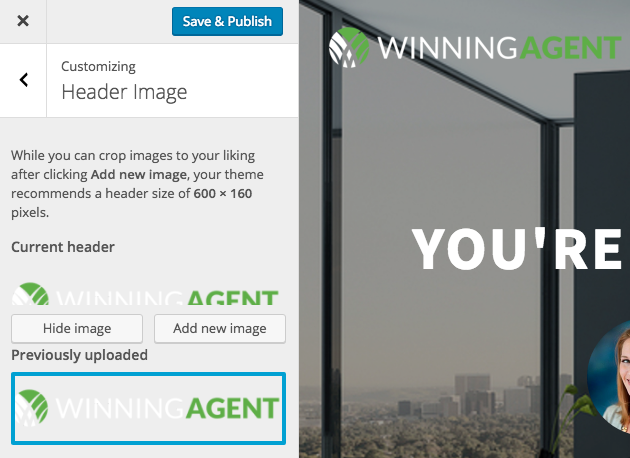 It’s easy to use the theme customizer to make Agent Focused your own. Add a unique image to the front page. 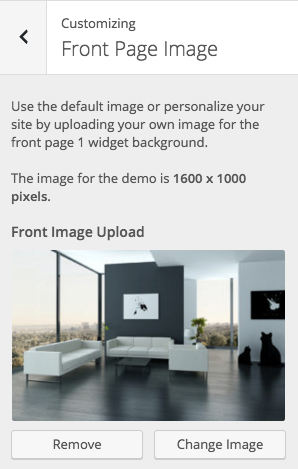 Add your own logo using the header image section in the customizer. 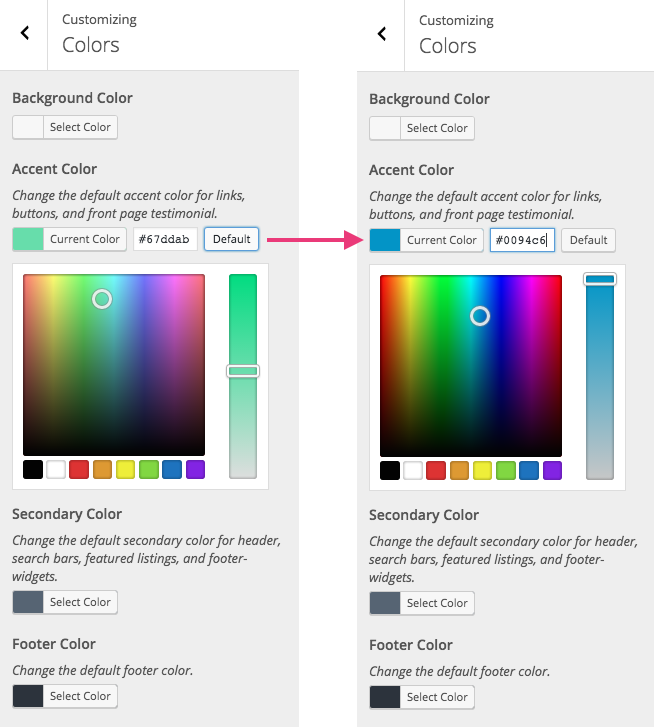 Change the colors with one click, and just as easily change back to the theme default colors. Agent Focused Pro theme with blue.